I know I’ve said it before, but I don’t really have a particularly sweet tooth, so many puddings are rather alien to me. 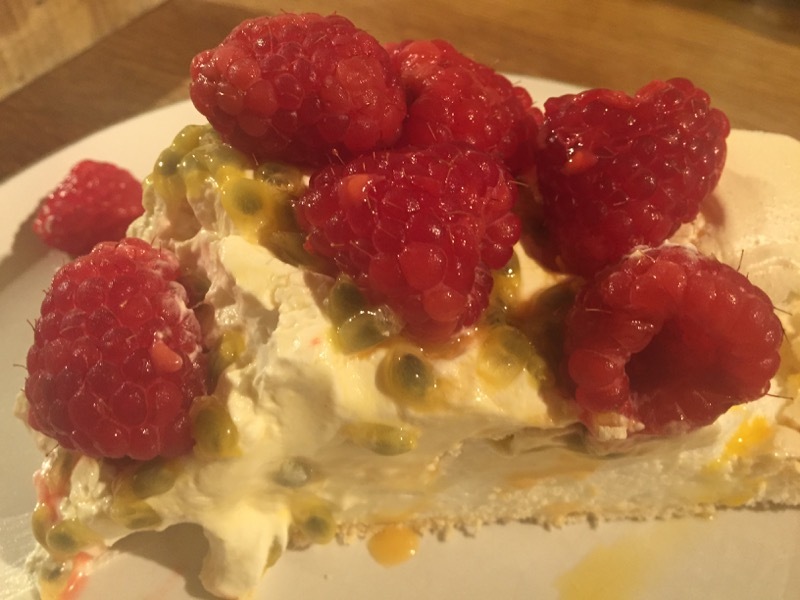 I have to confess that before I made this, I wasn’t entirely sure what a Pavlova was. It had meringue in it, I was pretty sure, and fruit, but just how they went together, I had no idea. Anyway, tonight, I’m going to find out. 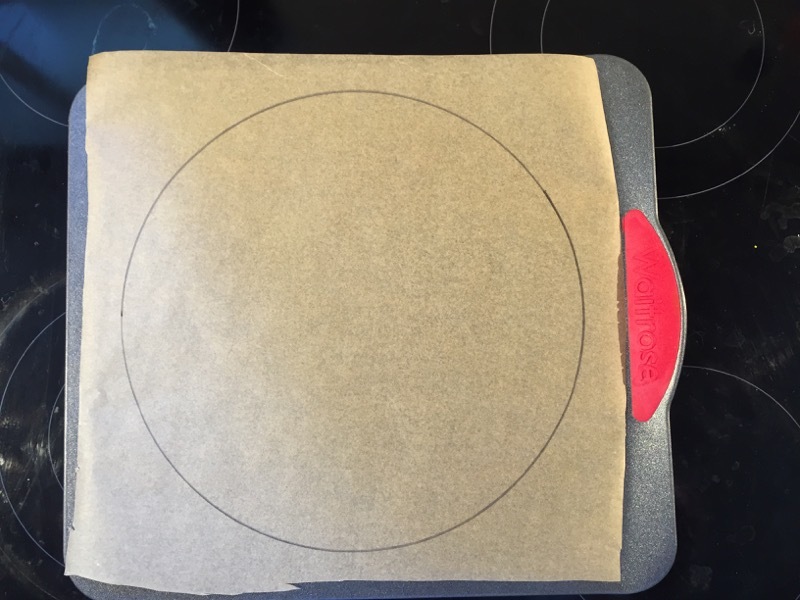 It starts with marking out a circle on a piece of baking parchment. That’s a big circle. Then, I take some egg whites. 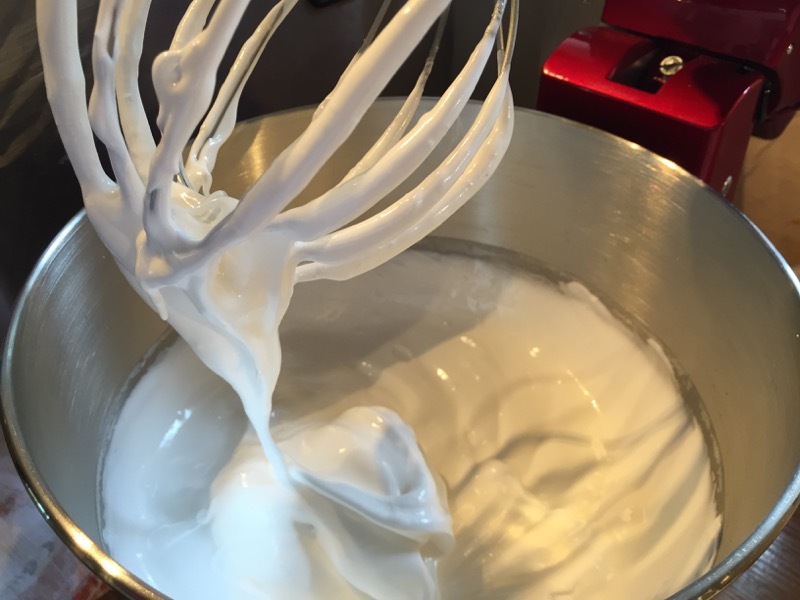 And whisk them with some salt and cream of tartar. 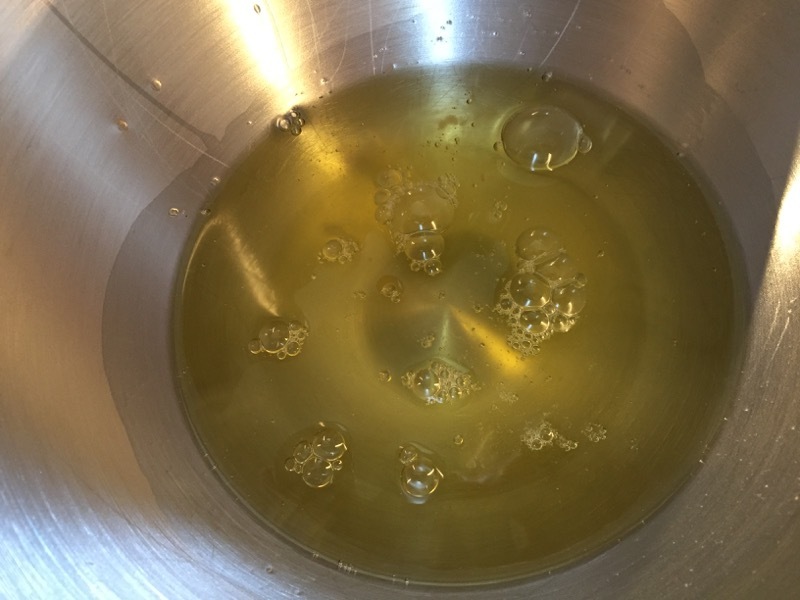 Once they froth, I add sugar and beat until thick and glossy. Then, I spoon the beaten whites into the circle on the baking parchment and make a well in the centre. Bake in the oven, until crisp on the outside, and (hopefully) soft on the inside. This beast is enormous. I then leave it to cool. Once cool, it seems to be disintegrating! The outside is cracking up and bits falling off. 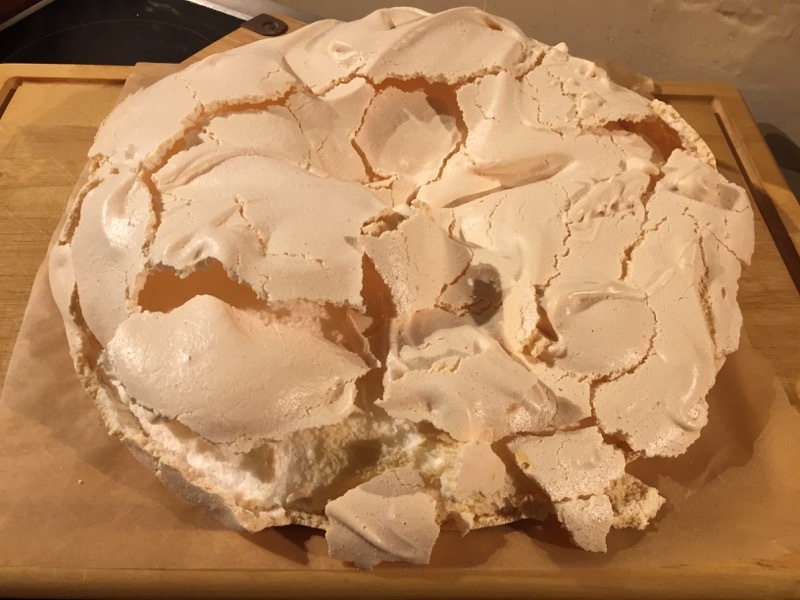 Sue takes a look, and says that “rustic” look is pretty normal for a Pavlova. I have no idea, but decide there’s no option but to go with it. Now for the filling. I whip cream, together with a little raspberry liqueur. 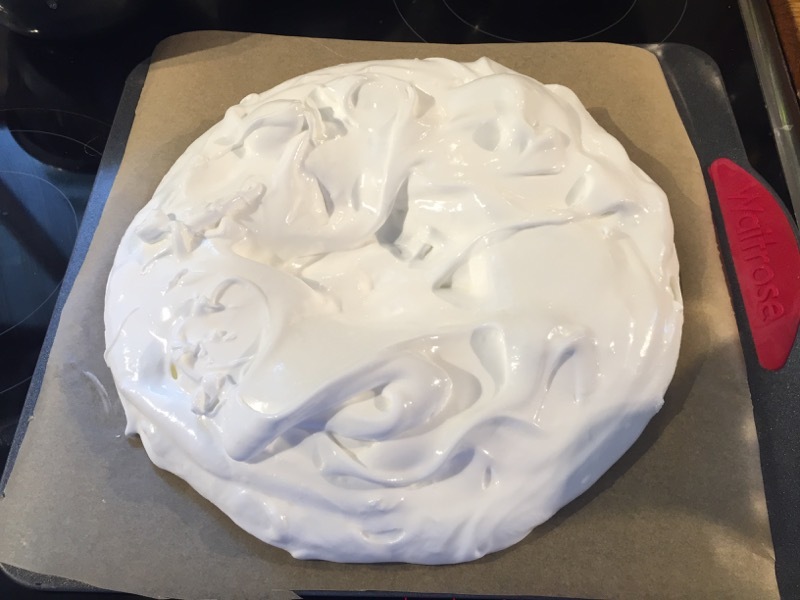 That goes into the middle of the now very dilapidated-looking meringue. Finally, I top with raspberries and passion fruit. Now that is a pudding. I serve, large, generous slices. We have a lot to get through. Well, it’s really very nice. 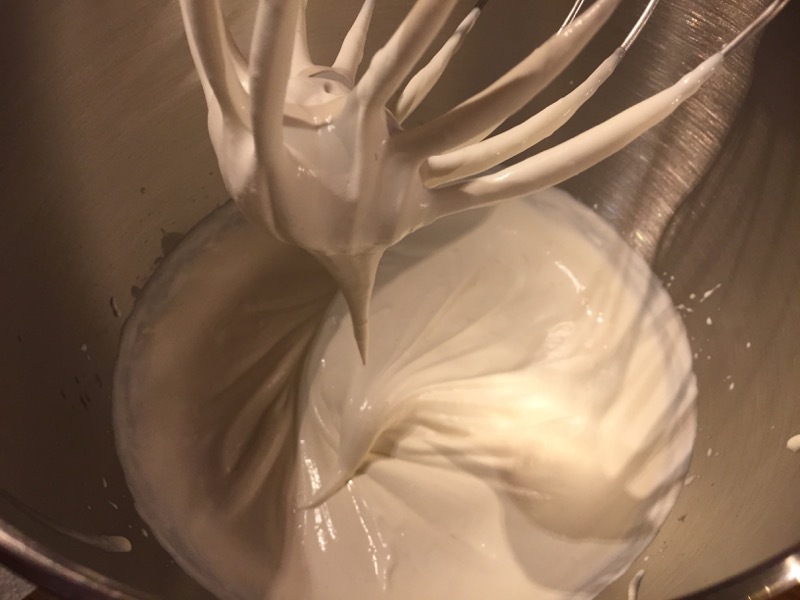 The outside shell of the meringue is crisp, the interior, soft and gooey – perfectly cooked, I think. 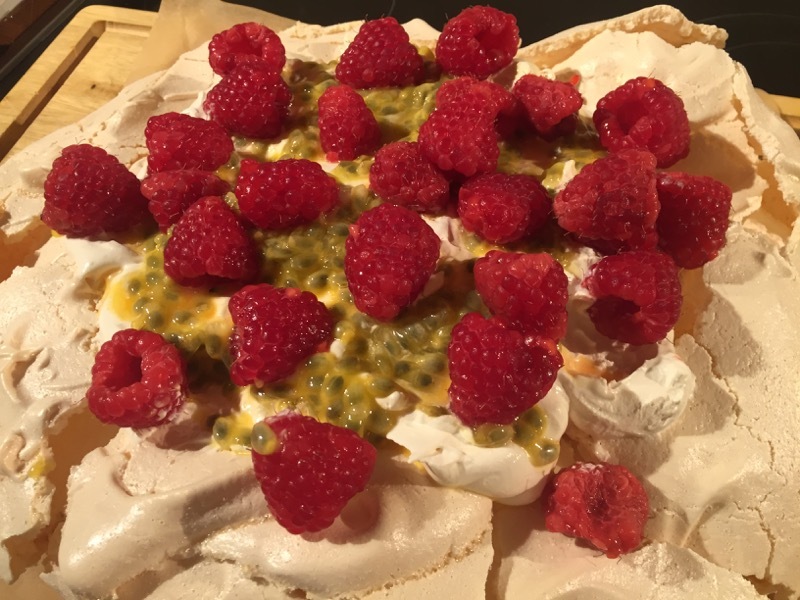 The raspberries are delicious, the passion fruit is tart, but balance the sweetness of the meringue very well. I rarely do dessert, but even I rather liked this one. Definitely a hit. 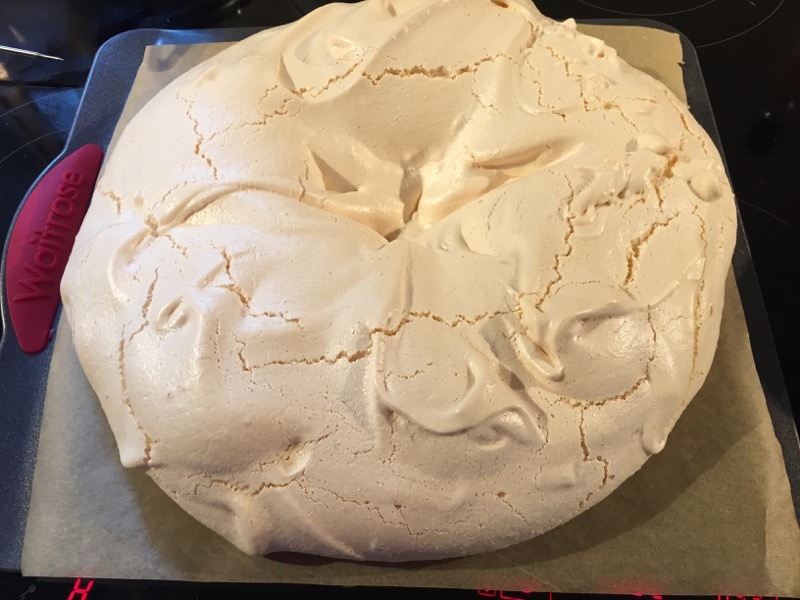 Dave made the biggest meringue I’ve ever seen! Yes it was delicious. No we haven’t been able to eat it all. 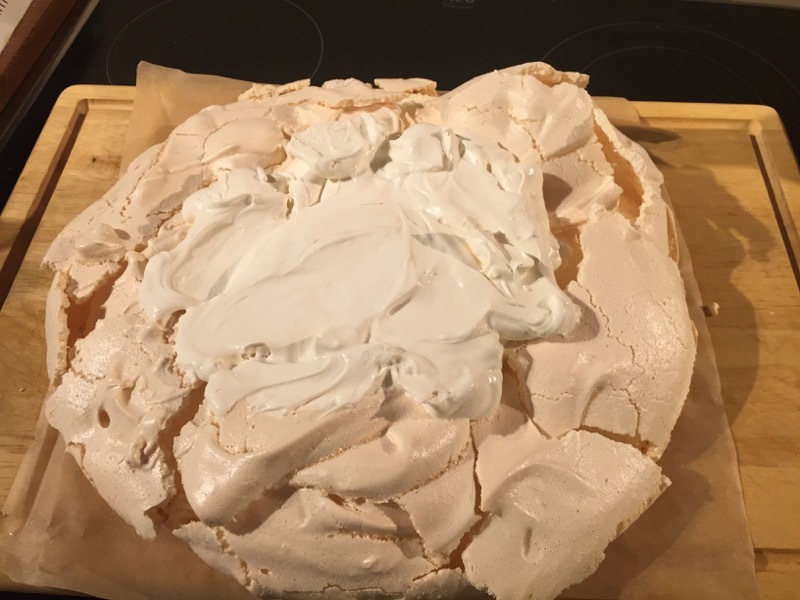 The meringue was lovely actually. Really light inside and crunchy round the edges. Dave fretted about it for hours because it was cracking up but I reassured him that was fine. The fruit mix was good. The passion fruit were a bit too sour, but that’s English fruit for you, it’s all sour! But the raspberries made up for it. A bit was nice. The enormity of it was off-putting. We should have shared it with friends.